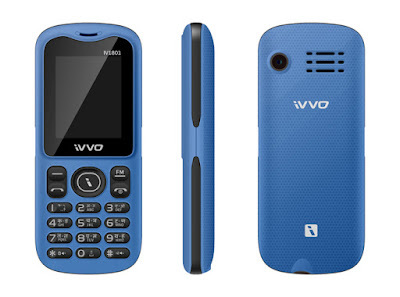 Continuing its disruption streak and providing its customers ultimate ‘peace of mind’ while purchasing their mobile phones, iVVO, a pioneering communications brand and the latest entrant in the Indian mobile phone market, has now unveiled its ‘Eco Series’. All products in this series are priced under Rs.669, with the range starting from Rs. 569. iVVO is a subsidiary of BRITZO, an industry player that recently came to fame for spearheading various forward-looking innovations in ICT (Information and Communications Technologies) targeted at the rural Indian audience. The tagline for the newly-launched series is “Smart bhi, Kifayati bhi”. The product lineup of the Eco Series, as of now, comprises iVVO IV1801, iVVO IV1805s, and iVVO Eco Beatz (earlier known as iVVO Beatz IV1805/IV1805s). The company has covered all of its offerings with a hassle-free service policy of a 201-day replacement guarantee and a product warranty of 455 days. iVVO has targeted the ‘Real India’ by keeping the prices well-within the slab of Rs. 669. All three devices feature a 1000mAH battery, MP3 and MP4 player, LED Torch, Bluetooth support, dual-SIM support, one-touch music access, 1.8-inch screen, GPRS web browser, wireless FM, megapixel camera and a storage space expandable up to 32 GB. IV1805s additionally includes a selfie camera and vibration mode. The brand had recently launched iVVO Beatz IV1805 (now rebranded as iVVO Eco Beatz). iVVO IV1801 and iVVO IV1805s, on the other hand, have a price range starting at Rs. 569. The overall range is priced between Rs. 569 – Rs.669. The newly launched series has increased the brand’s product offerings in the market to 8 smart feature phones, and 2 smartphones.